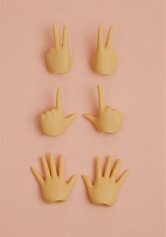 ※Limited quantity; Available until all prepared quantity are sold out. 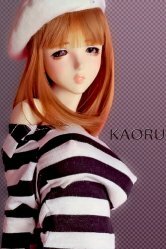 This doll comes with upper torso, lower torso and thigh parts which are made of soft skin (thinner & softer vinyl) and allow more flexibility in posing and customization. ※Magnets for use with the magnetic steel base plate are not included in the heel feet. ※Circular steel magnetic base plate is not included. ※Body blushing varies from one doll to another. There may be a slight difference of colour when you exchange different body parts of the doll. 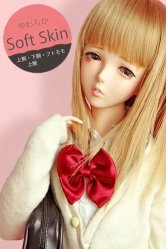 [Pre-order]RAP Pink Drops #17 琴音＜KOTONE＞Soft Skin ver.